I’m not gonna lie – I was excited when I saw that Alton’s French onion soup was next on the agenda. I have loved French onion soup since I was a kid, even vaguely recalling the first time I had it. I was in a restaurant with my parents and brother (I believe it was a restaurant called Jonathan’s, but I may be wrong on the location) and my parents encouraged me to try onion soup. When I saw the crock full of steaming broth, crusty bread, and bubbling cheese, I was not sure how to go about “attacking” it. My dad, describing the best onion soup he ever had, instructed me that the key to properly eating French onion soup is to be sure to get a bit of broth (and onion), bread, and cheese in every bite. Oh, and he also advised me to use the side of the crock to help to “cut” the cheese. It was love at first bite for me, and I, along with the rest of my family, have continued to love this classic soup ever since. 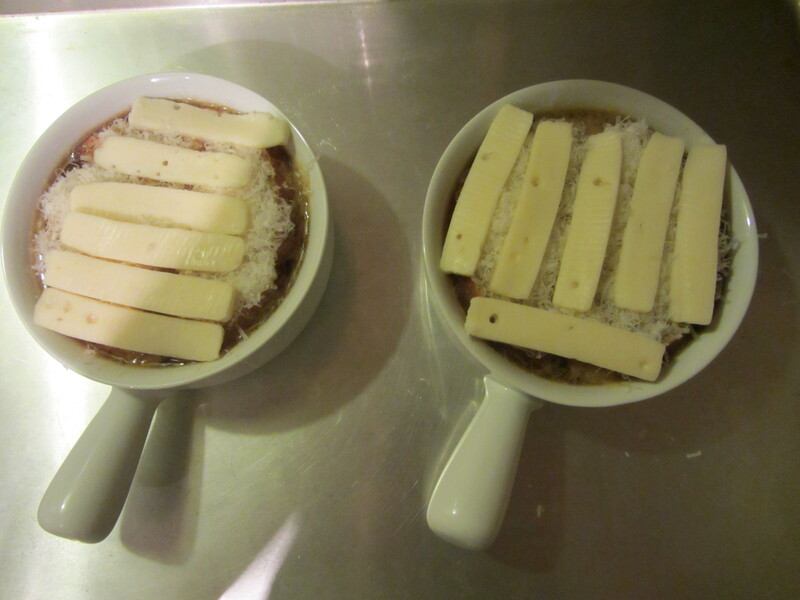 Somewhere along the line, French onion soup even managed to become our go-to Christmas Eve meal. How? I don’t recall, but I know the idea was my mom’s… and that it was pure genius. 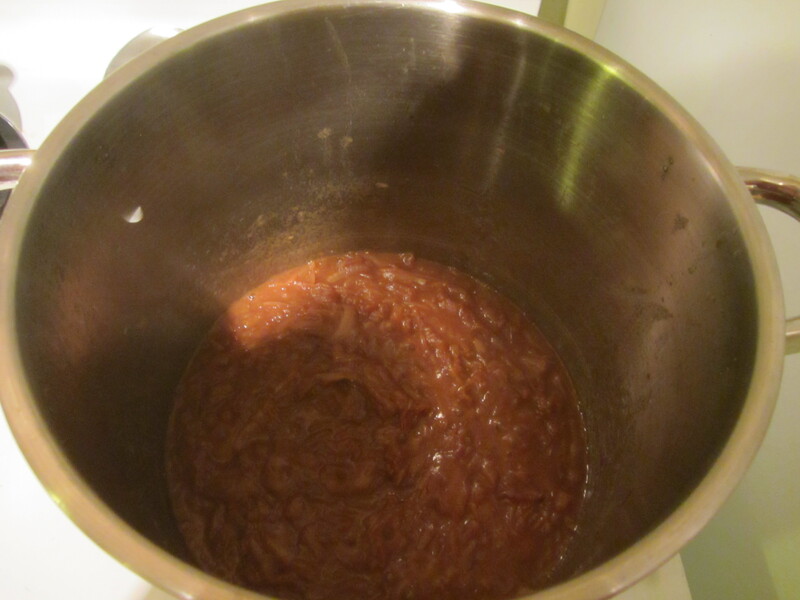 I have made a plethora of French onion soup recipes, including those from Julia Child (though delicious, I do not recommend this recipe if you plan a family outing in a confined car the following day), Thomas Keller, Tyler Florence, and Cook’s Illustrated. I am sure there have been others. Last weekend, I added Alton Brown’s recipe from Good Eats to this list. I watched the 9th episode of Good Eats, taking notes on Alton’s preparation in the show. 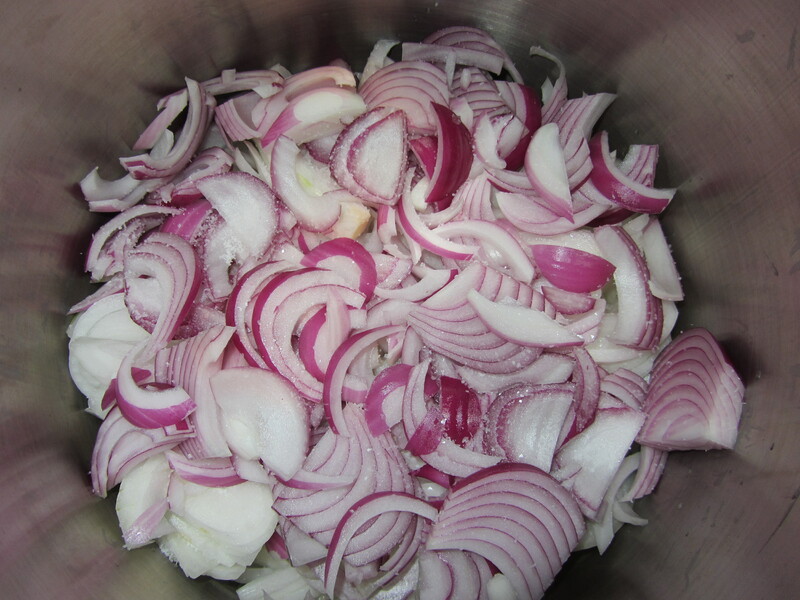 He strictly recommends using sweet onions (preferably Vidalias), or a combination of sweet and red onions. I opted to do the latter. 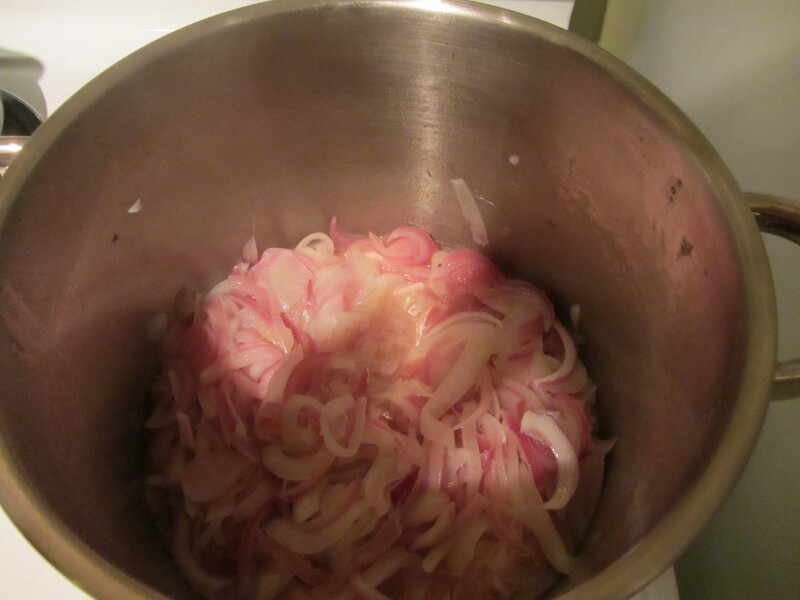 Since I was making a double batch of soup, I ended up using about eight pounds of onions, with half being of each type of onion. 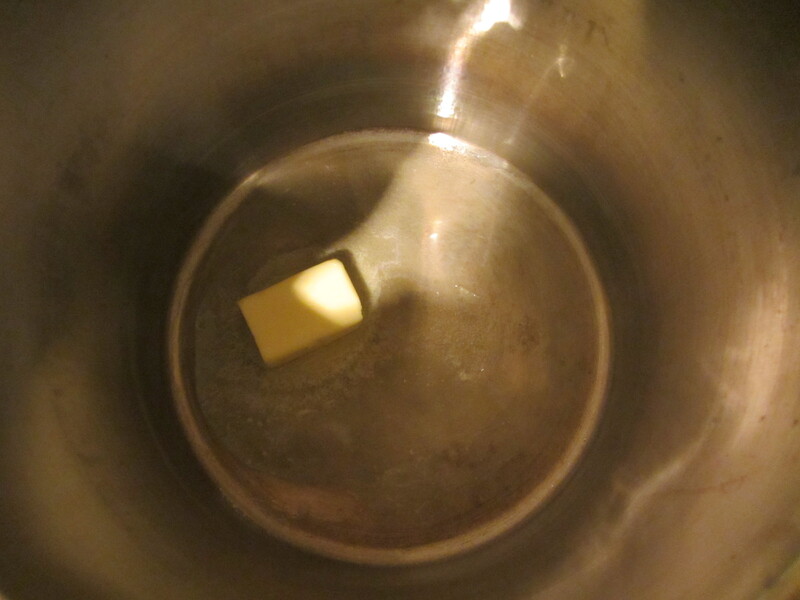 Alton suggests using an electric skillet for the soup, but I do not have one, so I used a standard stockpot. Per Alton’s instructions, I melted butter in my pan and added my sliced onions in layers, sprinkling Kosher salt over each layer. 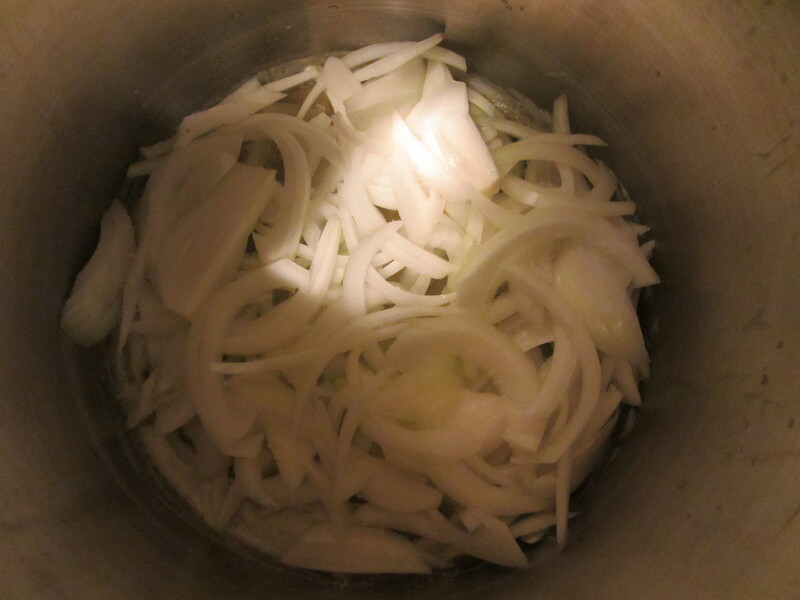 First layer of sweet onions in the pan. Combination of sweet and red onions, along with salt. 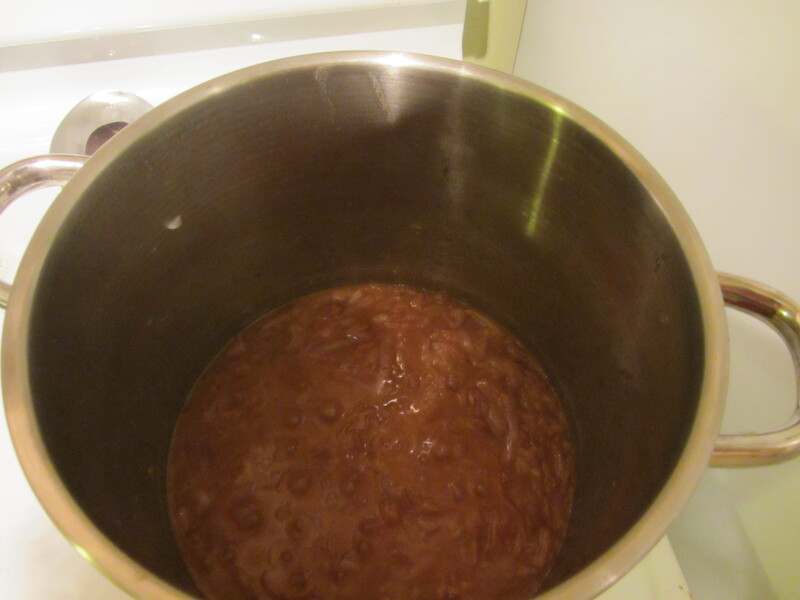 After the onions sweated for a while, I began stirring them every 15 minutes until they had drastically cooked down and were caramelized to a dark brown. This took at least a couple hours for my onions. Onions beginning to cook down. Onions after a couple hours on the stove. 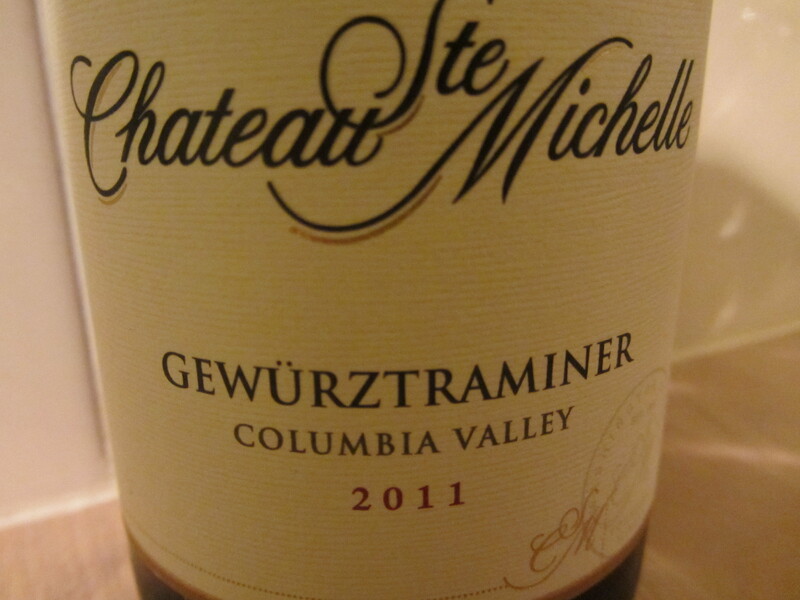 Once cooked down, I covered the onions with Gewurztraminer (Alton recommends this or a Chardonnay), and allowed the wine to cook down to a syrup-like state. Wine to add to my onions. 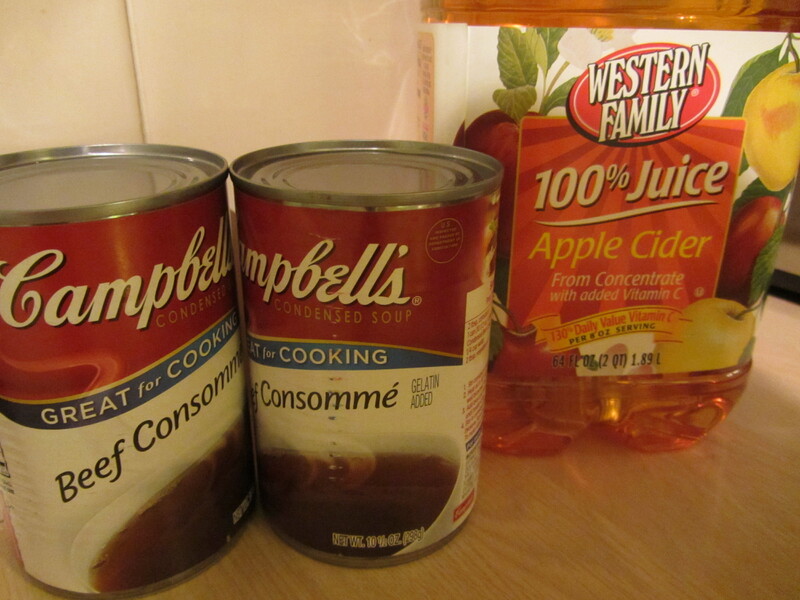 At this point, the remaining liquids were added: beef consomme, chicken broth, and apple cider; in the show, Alton says it does not matter whether the cider is filtered, so I used filtered cider. Beef consomme and apple cider. Not pictured: chicken stock. The bouquet garni is also tossed in at this point, and the soup is simmered to allow the flavors to combine. 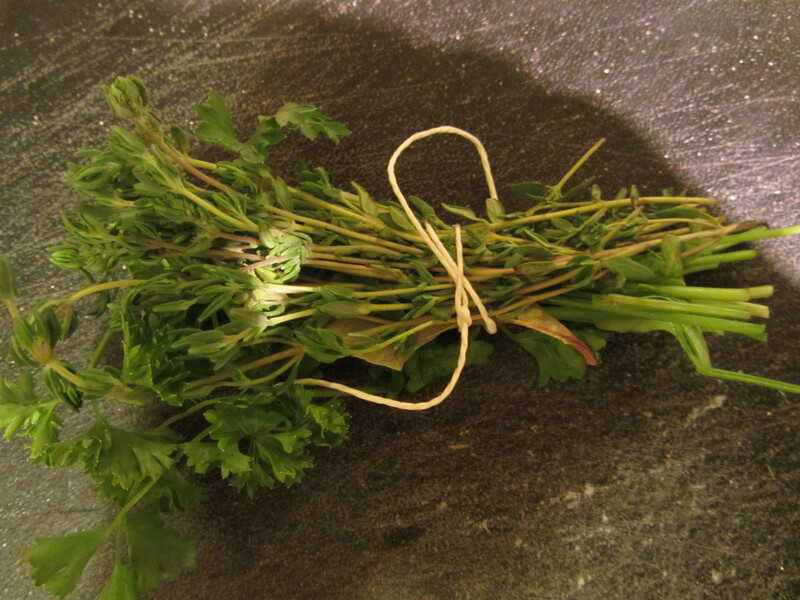 Bouquet garni of thyme, parsley, and a bay leaf. 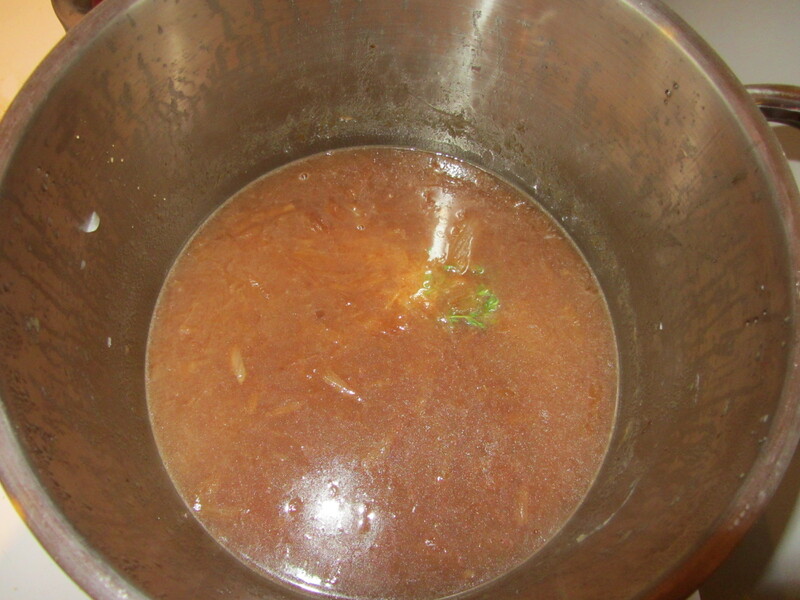 After simmering, the soup is seasoned with Kosher salt, pepper, and Cognac. 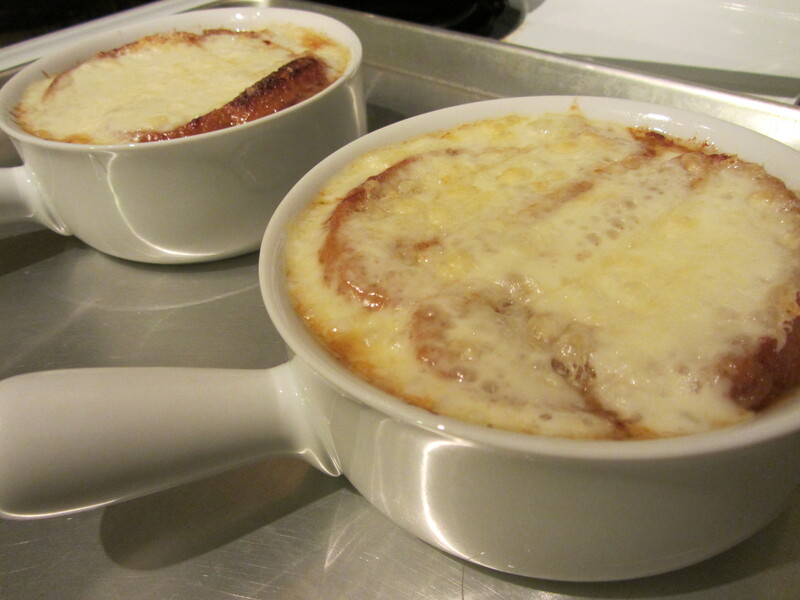 To serve, the soup is topped with toasted bread (toasted under the broiler), grated Parmesan, and sliced Fontina. The bowls go back under the broiler until the cheese is melted and bubbly, and voila! 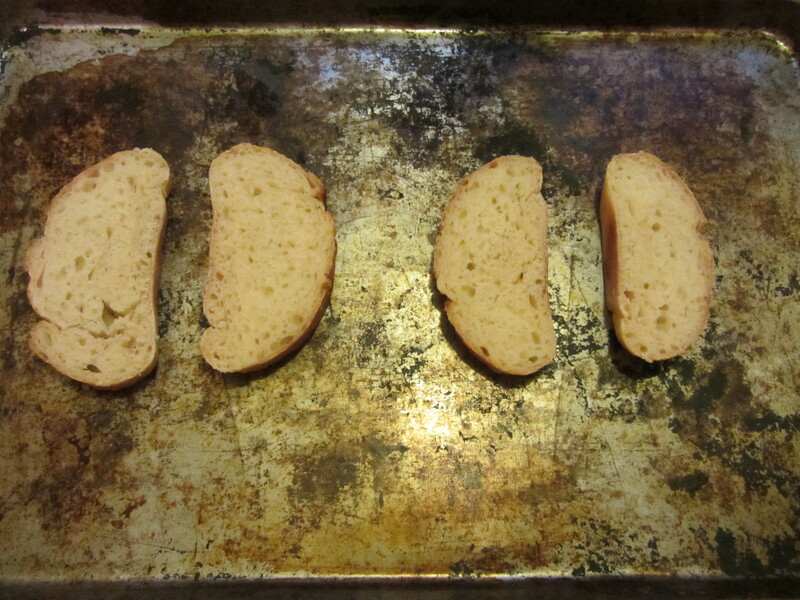 Bread to be toasted under the broiler. 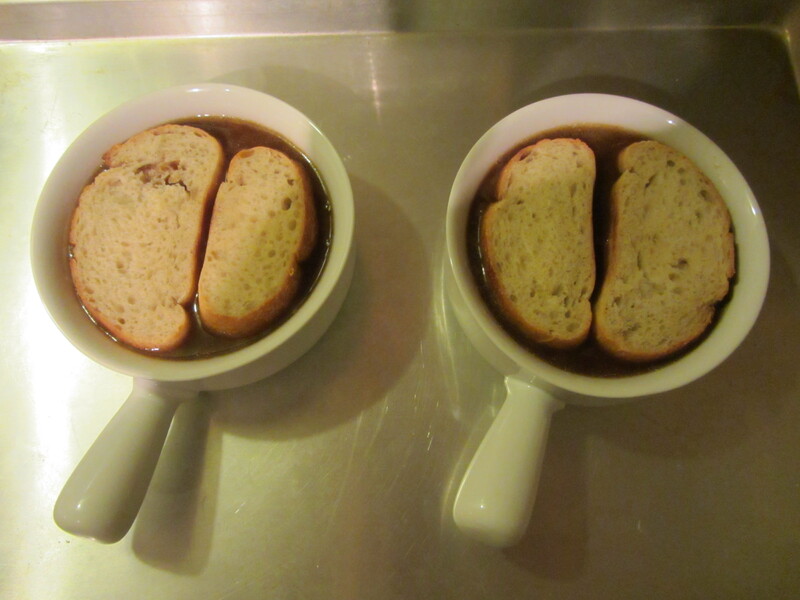 Soup with bread on top. A combination of cheeses to top the soup. 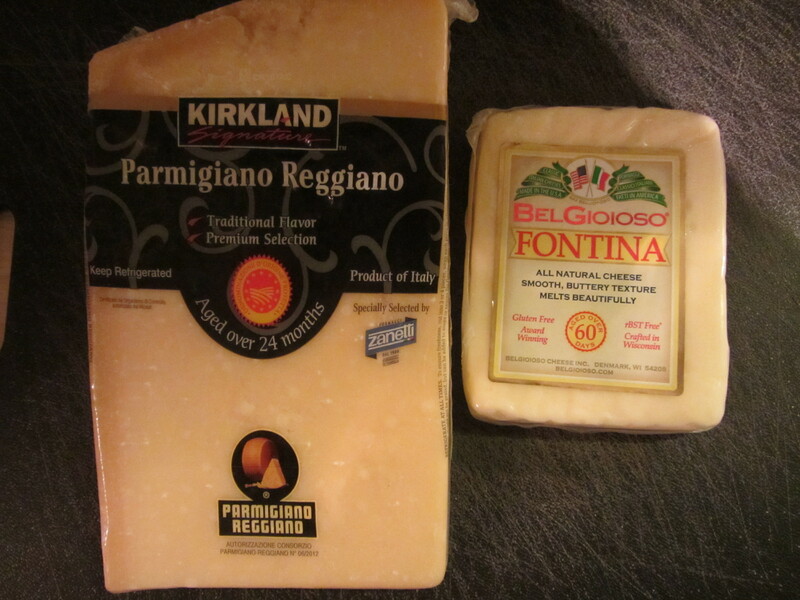 Parmesan and Fontina cheeses on the soup. I shared some of this onion soup with my parents, and Ted and I had it twice for dinner. My parents felt that the soup was a bit too sweet, but we did not think the same. To me, all onion soups are sweet, and this one actually had a nice tang on the finish. Perhaps it was the cider that my parents did not much care for. Overall, I thought this was a very good French onion soup. It was far less labor-intensive and time-consuming than some others I have made, but it still had well-developed flavors. I also really liked the combination of Parmesan and Fontina to top the soup. Traditionally, my mom always topped her soup with Gruyere or Emmentaler, but I think I maybe liked Alton’s combination more. Alton’s recipe is quite different from some of the others I have had, using white wine and chicken stock, as opposed to red wine and beef stock. The addition of cider is another twist. 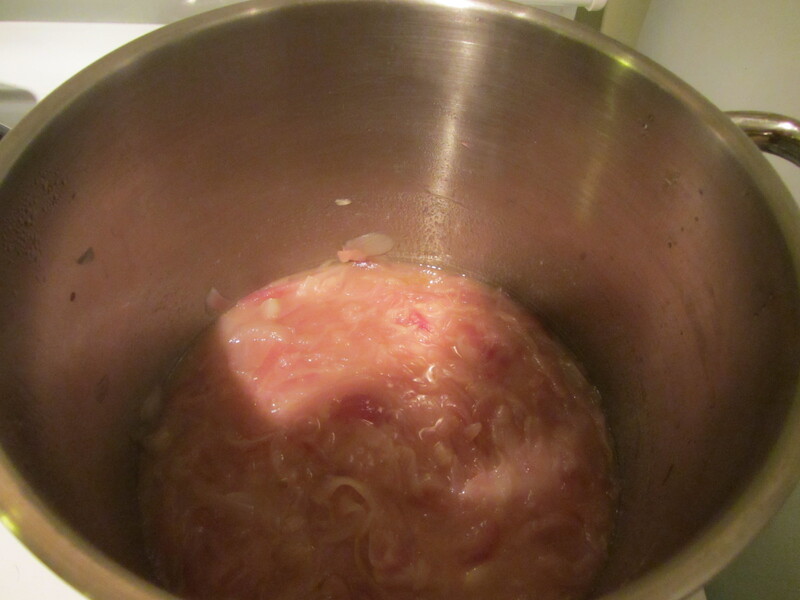 I think that the flavor of the actual onions shone more with Alton’s recipe, as the onions were not overpowered by liquids in the soup, and the soup still had a nice “bite” to it. I think it is safe to say that we will be turning to this recipe again in the future… Christmas Eve, perhaps?